Last week we posted about the new dates for OHL Mayakoba Classic. There is another good news for all those waiting for this premiere golfing event. Camilo Villegas, a 3 time PGA TOUR winner from Colombia will be making his first start in Mexico’s only PGA TOUR event. Also joining the line-up will be Angel Cabrera, the 2 time major champion winner and runner-up at this year's Masters Tournament. 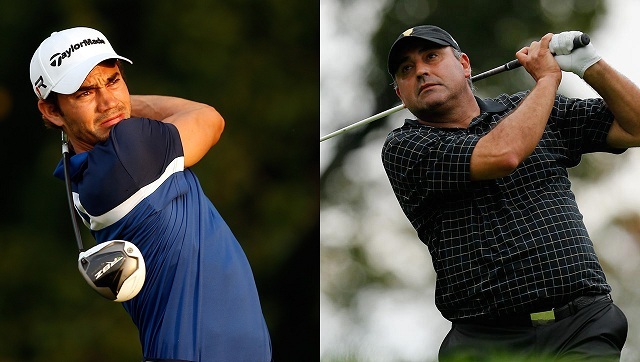 It will be first time for the both golfers at the OHL Classic at Mayakoba. In 2008 Villegas won the BMW Championship and THE TOUR Championship to finish second in the FedEx Cup playoffs. He is the first Columbian to win on TOUR and is famous for his homemade putting routine: while he reads a putt, he crouches down parallel to the ground without touching it, extending his left leg back while balancing with his right leg and his putter to get a better view of the slope of the green. He is given the nickname "Hombre Araña" (Spiderman) for this posture. Villegas earned his PGA TOUR card just prior to the 2006 season. He had a blistering start to his 2006 rookie year on tour, with two second place finishes and a third place in his first nine events. Villegas was born in Medellín, Colombia, and took up golf as a child. It will be a strong Latin line-up with players from Argentina, Mexico and Venezuela entering the fray.